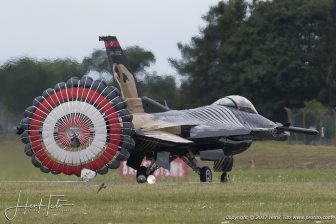 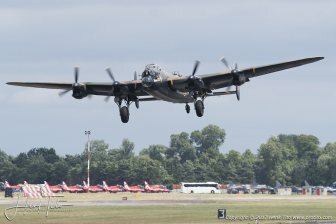 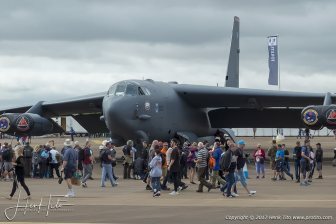 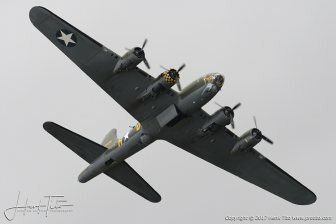 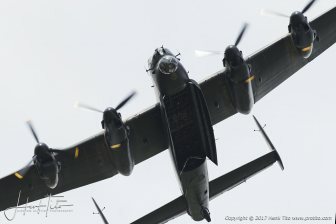 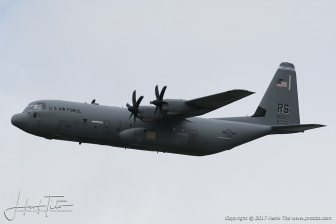 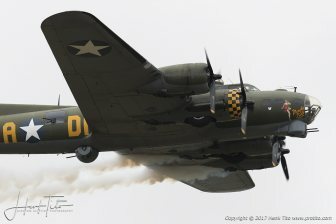 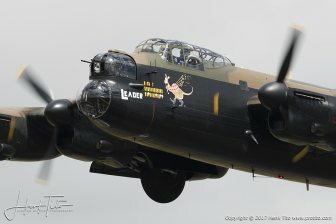 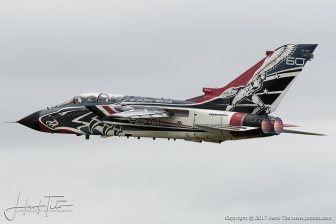 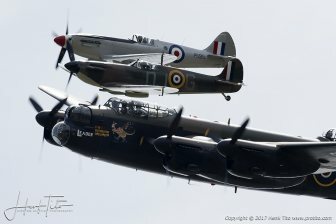 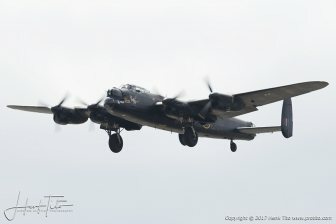 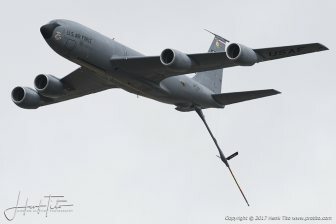 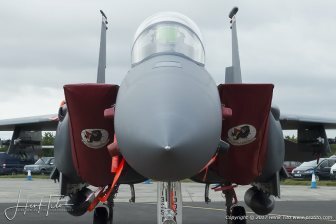 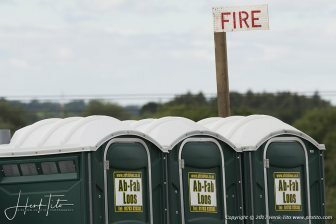 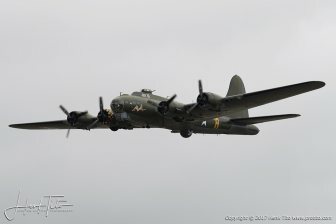 A series of spectacular flypasts and jaw-dropping displays ensured the USAF's 70th anniversary was celebrated in style at a sold out Air Tattoo at RAF Fairford. 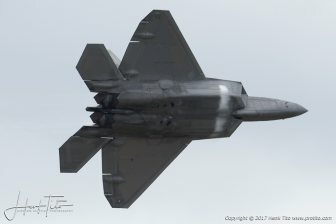 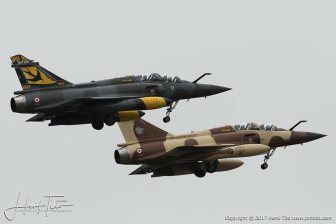 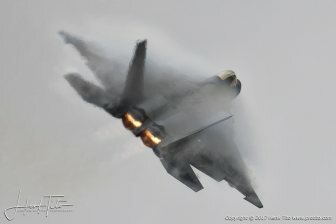 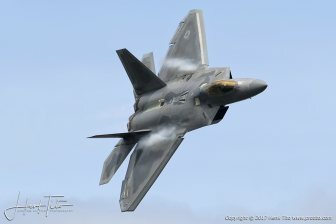 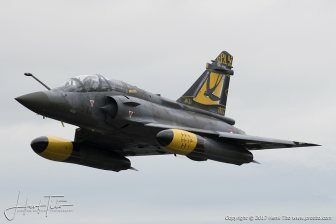 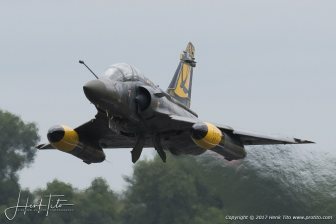 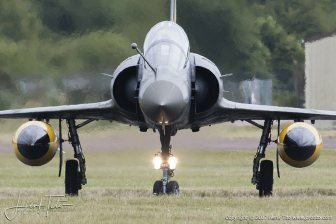 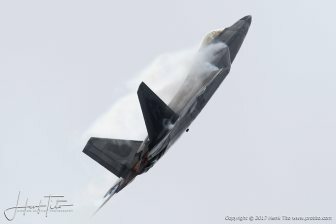 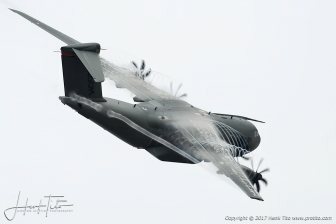 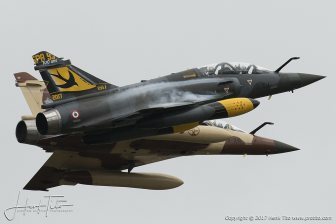 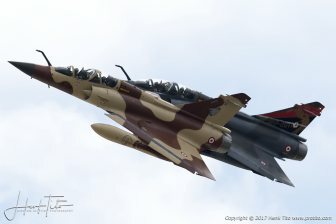 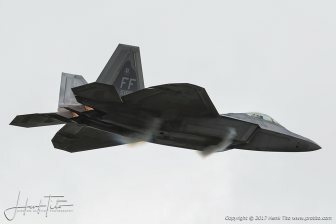 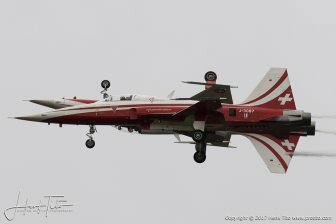 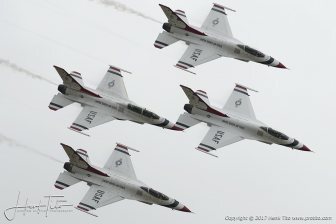 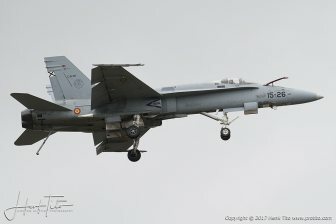 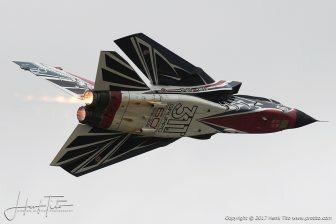 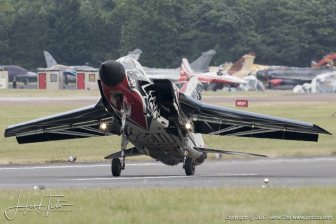 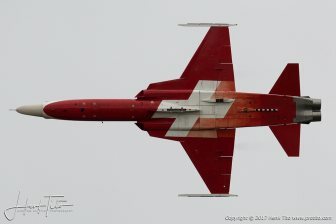 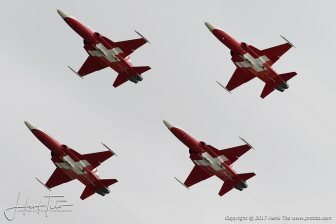 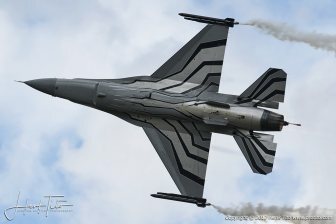 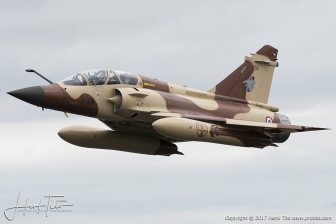 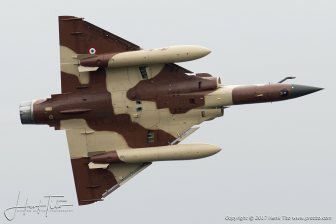 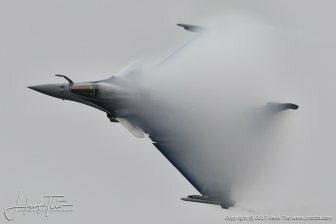 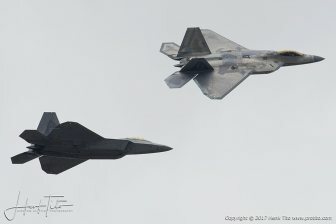 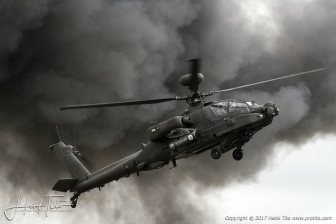 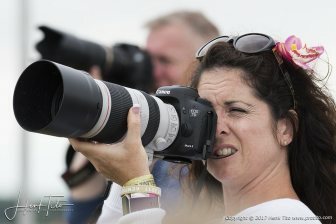 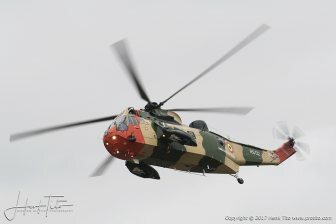 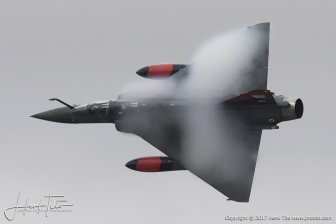 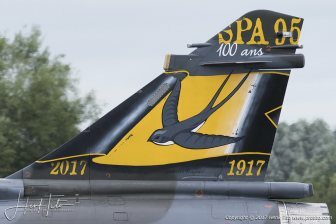 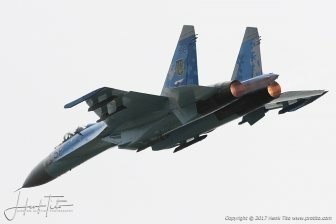 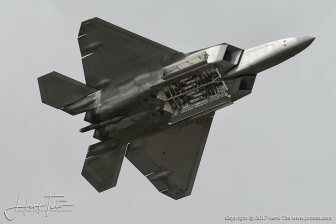 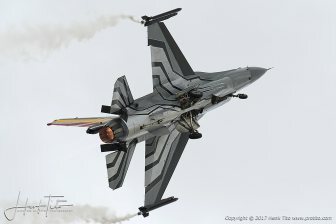 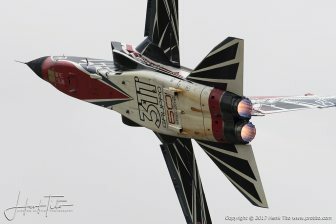 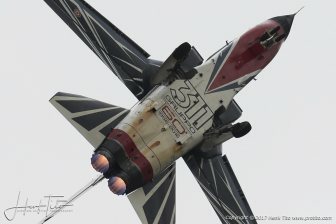 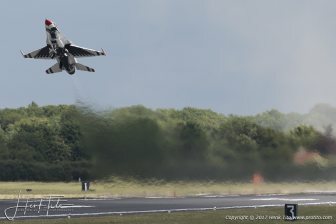 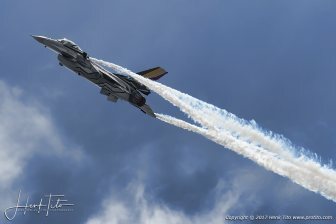 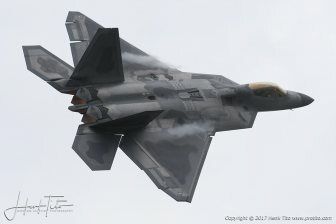 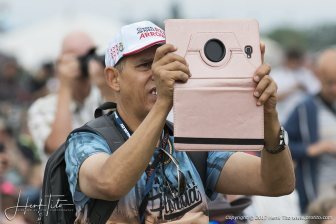 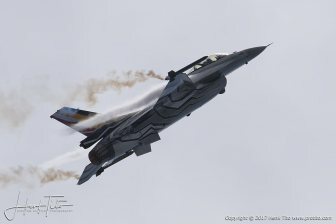 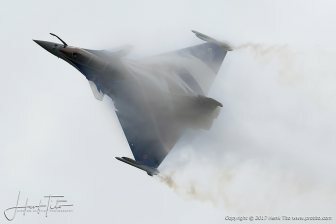 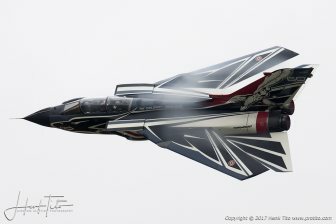 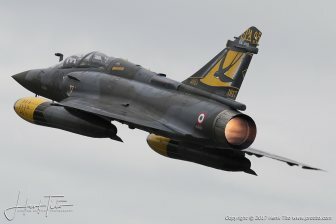 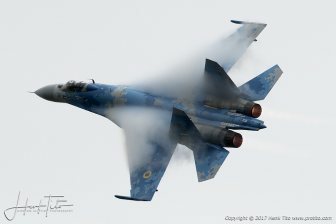 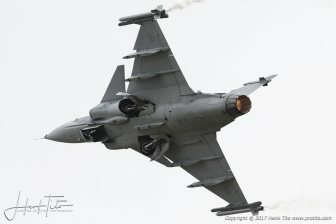 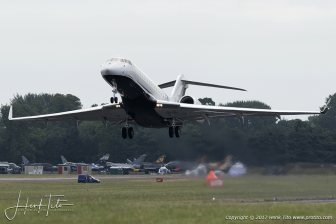 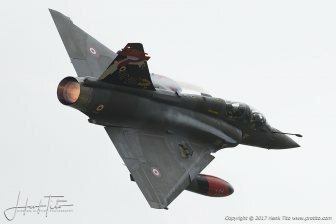 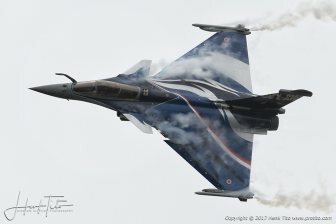 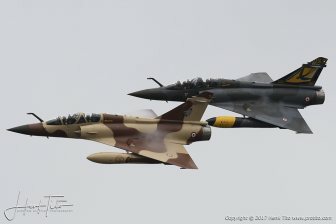 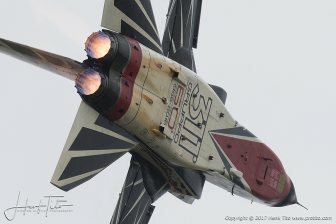 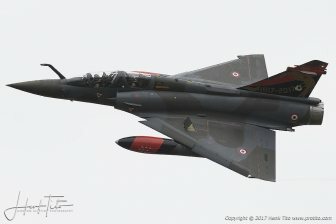 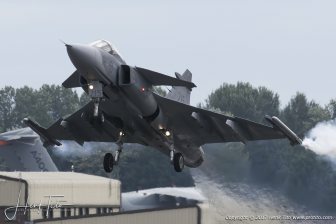 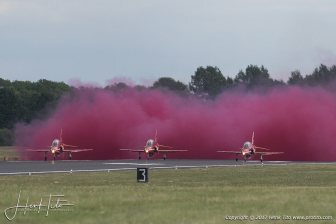 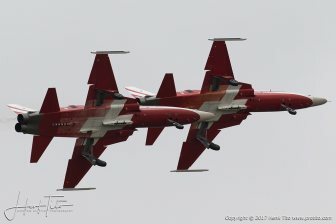 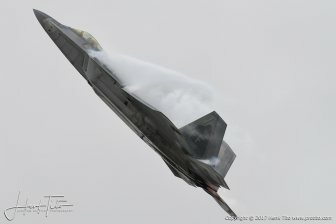 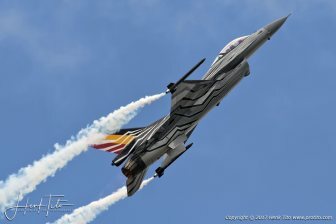 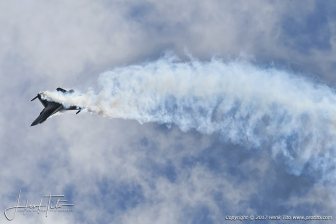 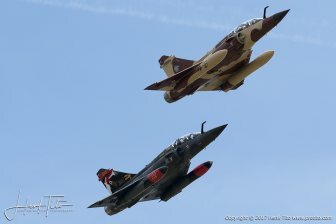 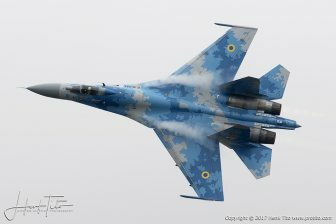 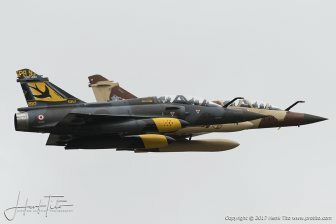 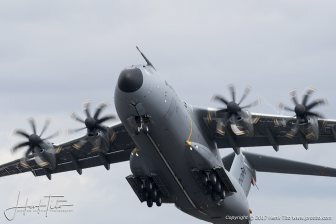 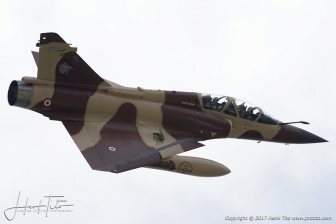 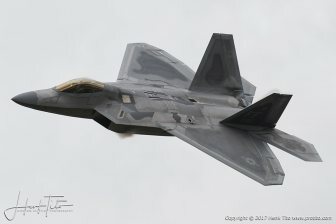 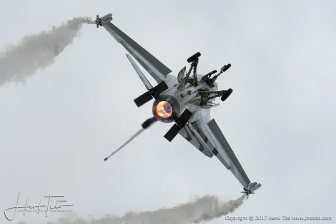 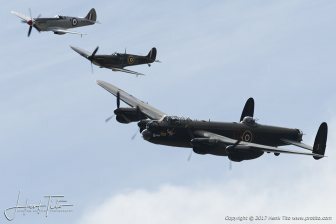 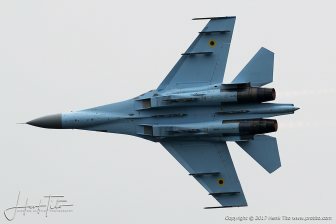 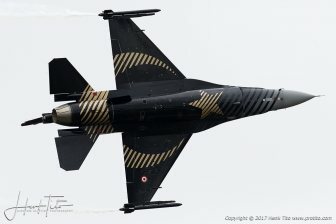 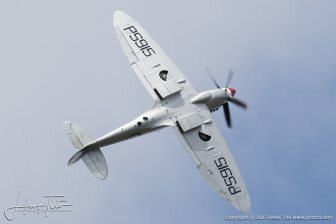 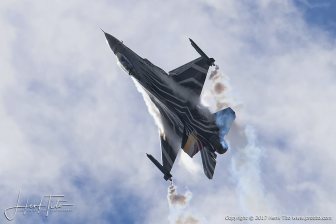 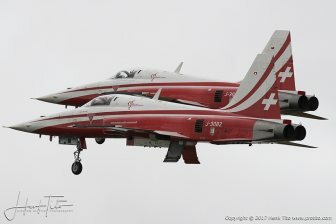 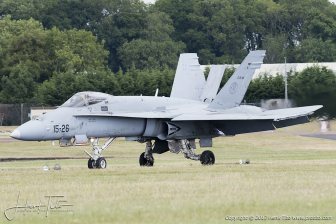 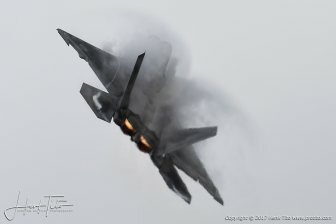 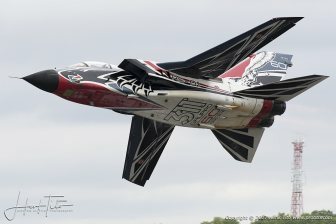 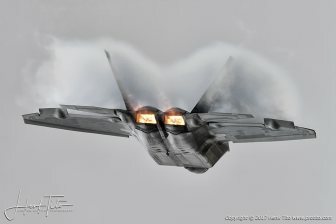 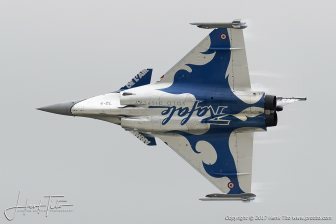 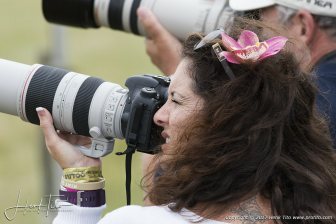 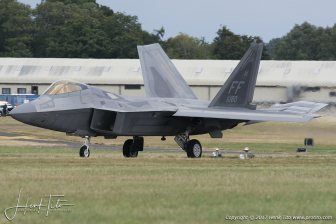 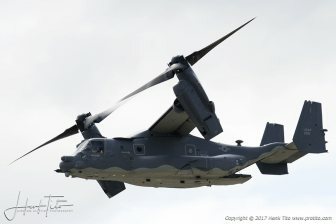 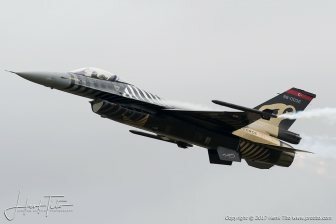 The airshow, which took place over three days (July 14-16), attracted a record crowd of 160,000 people who enjoyed thrilling flying demonstrations by some of the world's leading pilots. 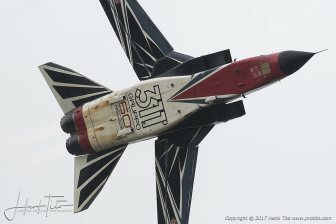 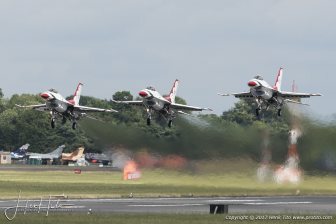 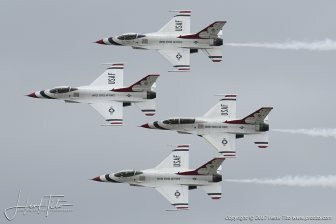 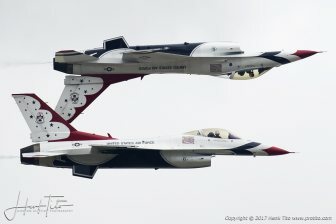 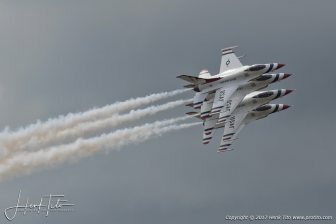 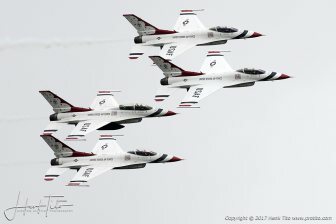 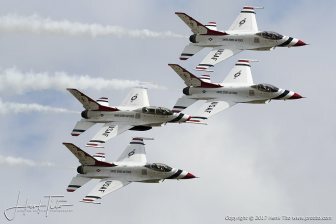 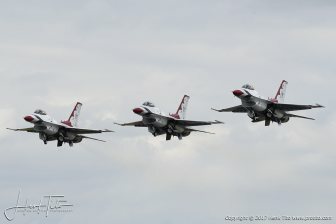 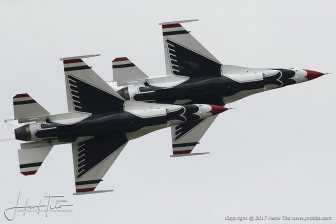 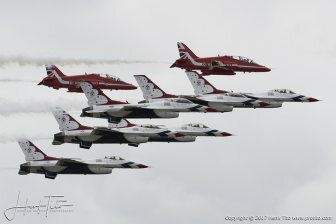 Among the aerial highlights were the USAF Thunderbirds, whose highly-choreographed pre-flight routines were as entertaining as their flying display. 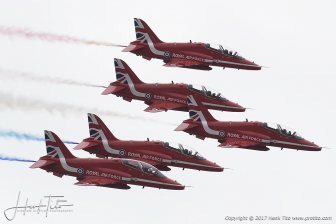 Flying F-16 Fighting Falcons, the team was joined on the Friday by nine Red Arrows' Hawks for a colourful joint flypast to launch the airshow. 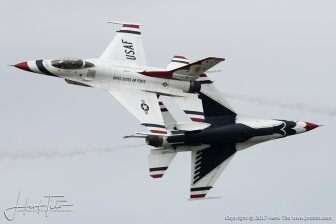 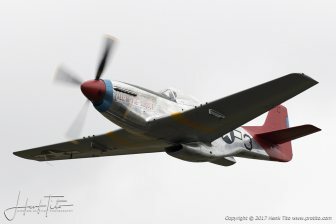 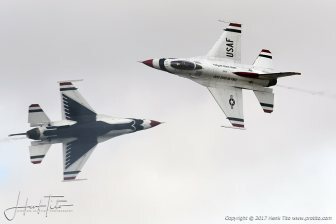 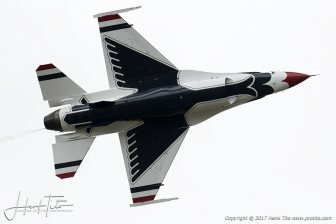 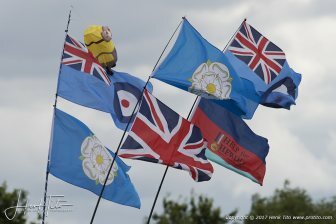 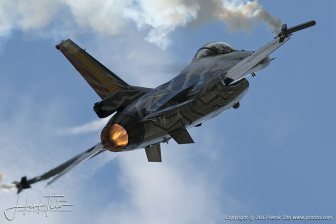 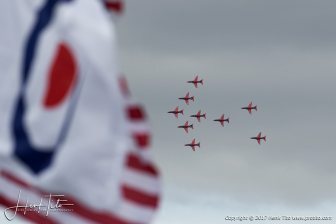 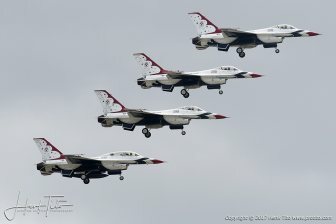 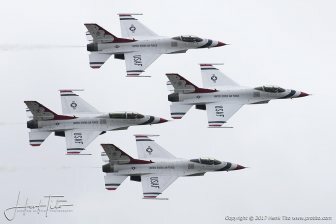 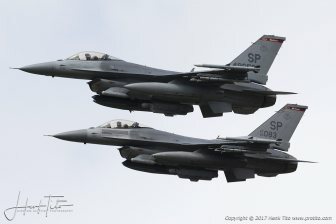 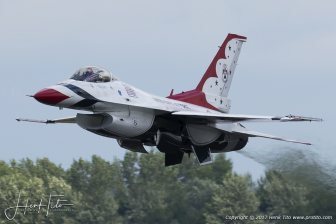 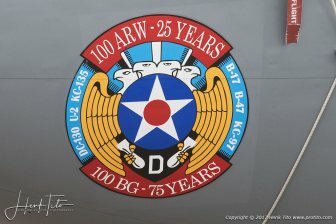 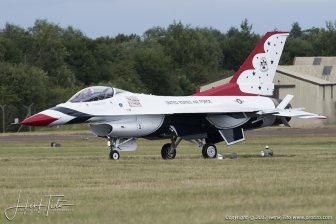 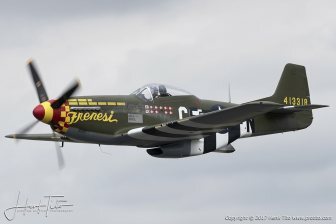 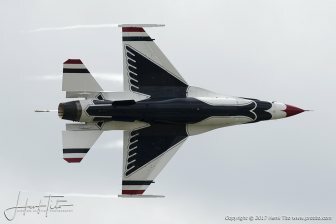 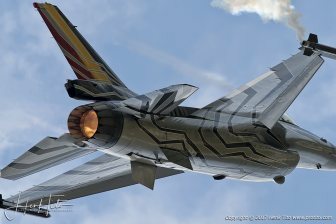 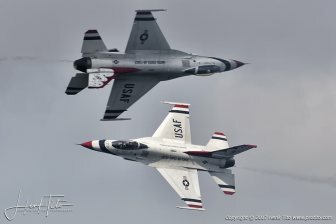 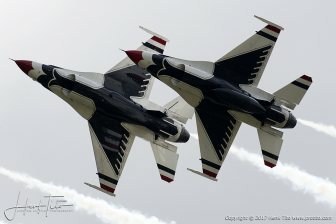 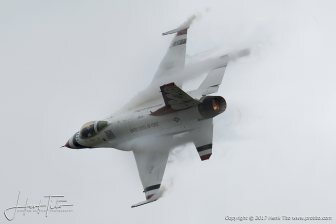 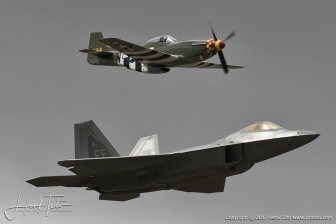 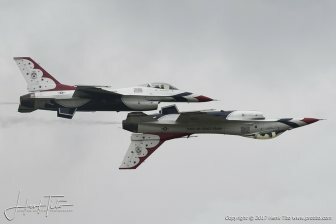 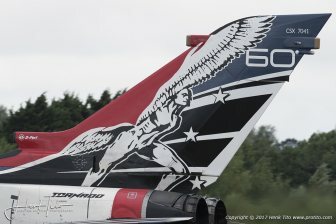 Joining the Thunderbirds to celebrate the USAF anniversary were vintage American warbirds including a B-17 and P-51D Mustang, a state-of-the-art F-22 Raptor and a dramatic flypast by a number of UK and European based USAF aircraft. 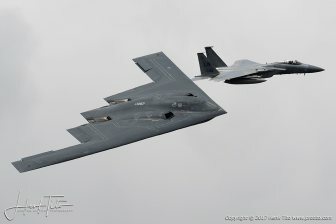 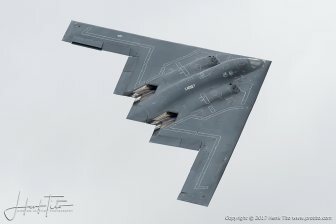 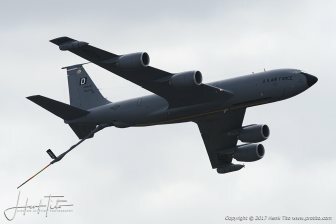 On the Sunday, visitors were treated to a surprise flypast by a stealth B-2 Spirit bomber that was taking part in an epic 23-hour transatlantic "Global Power" training flight from Whiteman Air Force Base in Missouri. 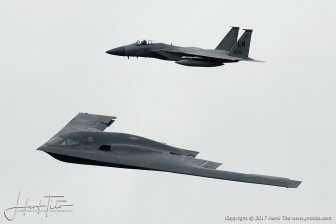 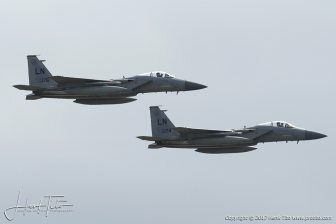 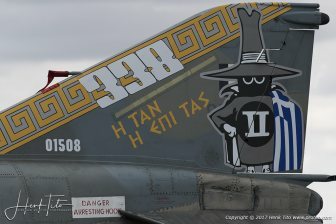 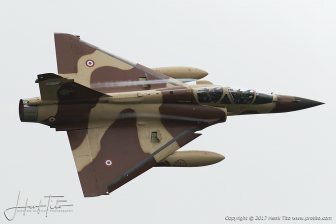 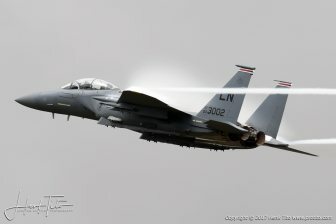 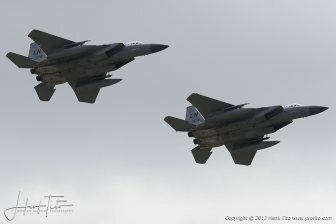 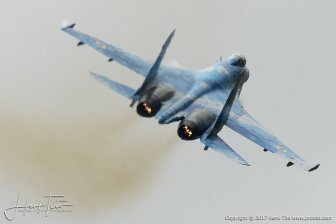 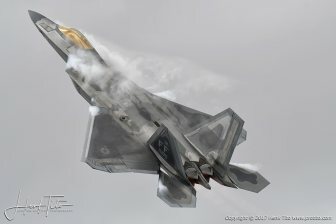 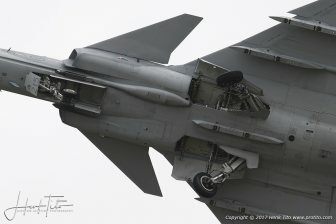 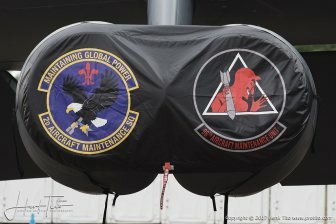 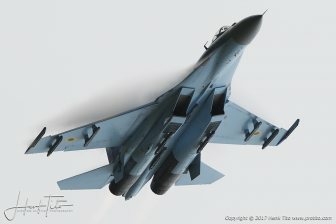 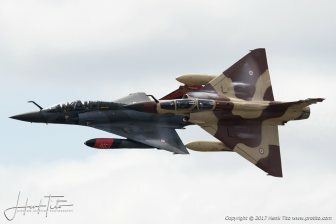 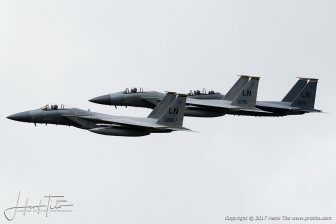 The aircraft was escorted by two F-15 fighters. 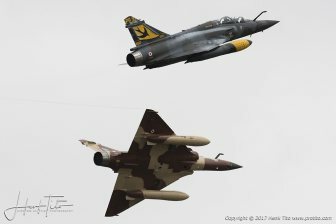 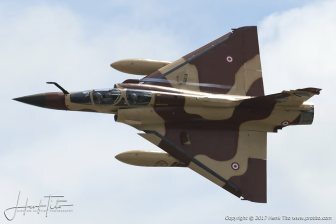 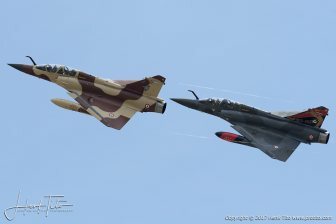 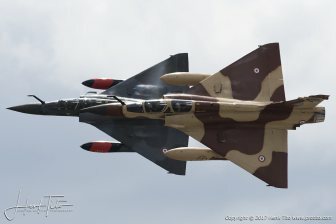 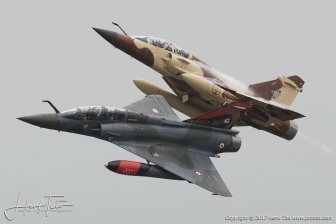 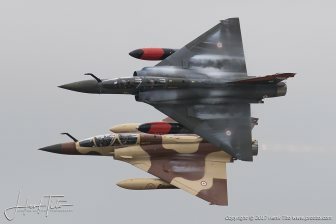 Other flying display highlights included the French Air Force's Couteau Delta team flying two Mirage 2000D fighter aircraft; the Midnight Hawks, Finland's aerobatic display team who last performed at the Air Tattoo back in 2004, an RAF Typhoon demo flown by Flt Lt Ryan Lawton and a Russian-built Sukhoi Su-27 'Flanker' from the Ukrainian Air Force, which offered enthusiasts a rare opportunity to view this aircraft in British skies. 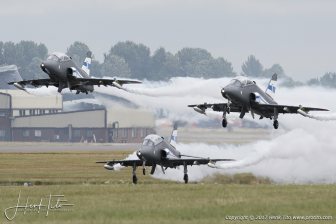 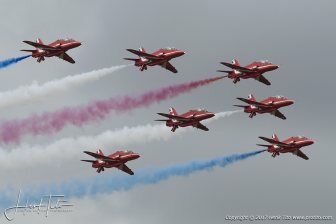 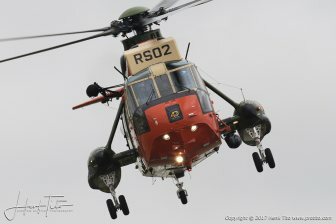 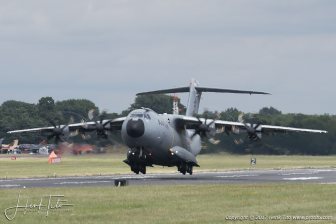 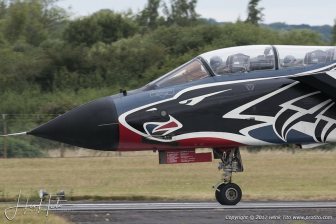 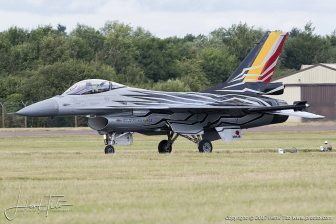 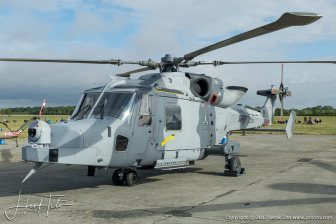 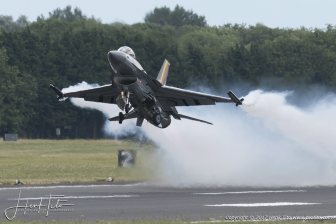 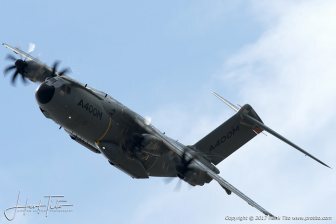 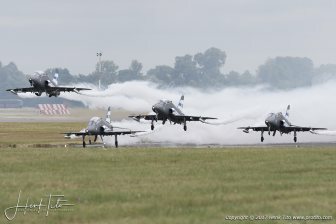 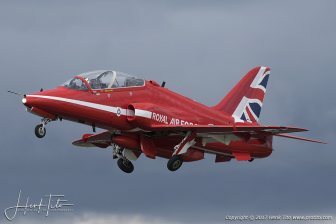 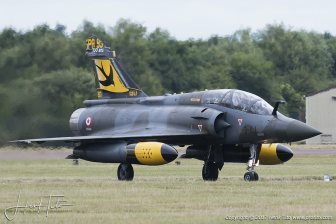 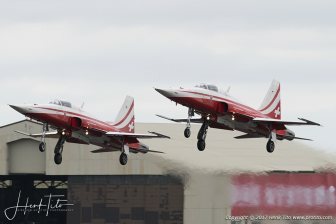 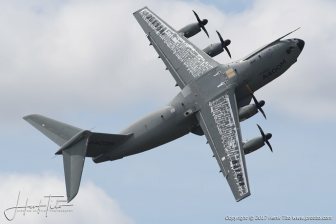 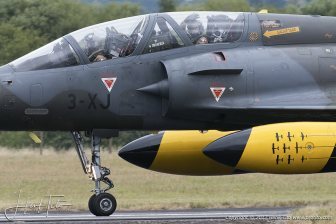 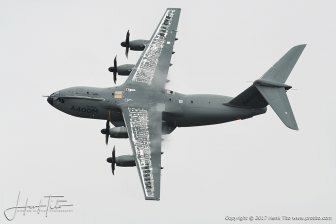 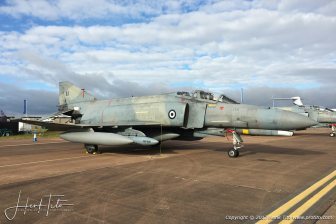 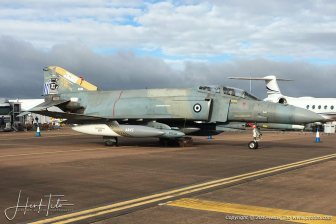 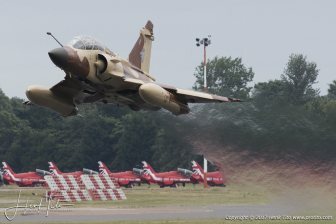 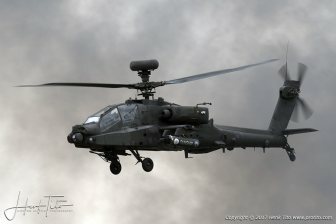 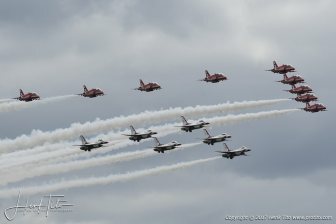 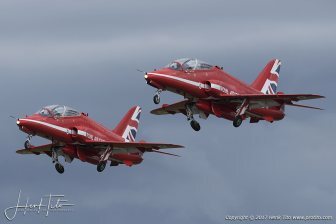 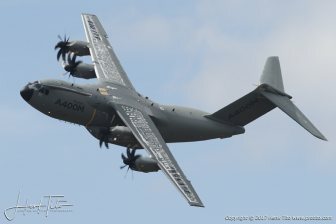 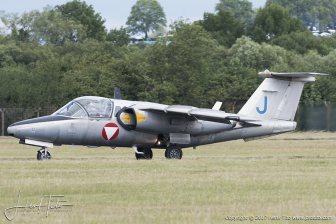 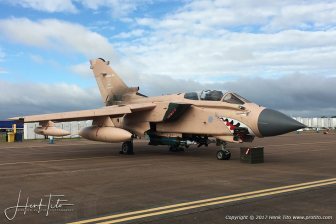 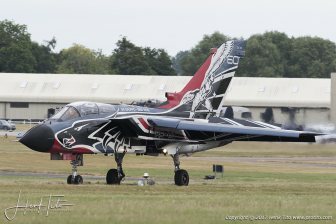 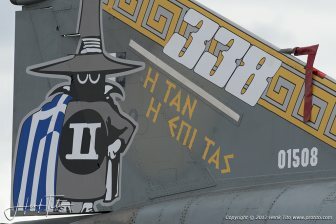 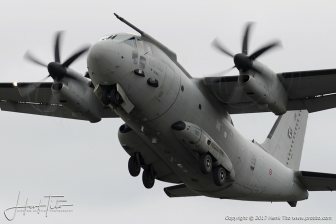 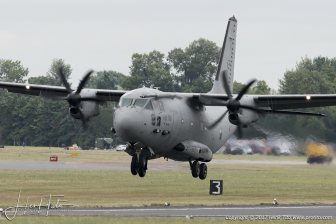 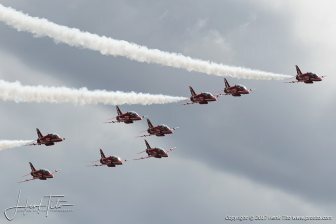 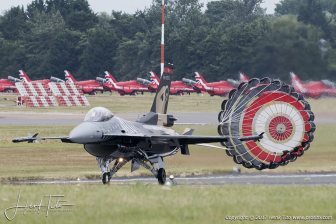 In total, 246 aircraft took part in the Air Tattoo from 32 air arms representing 26 nations. 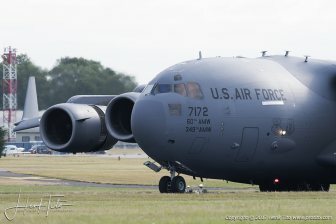 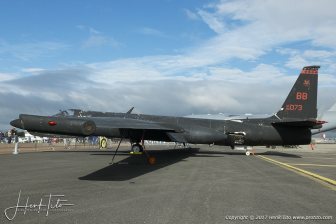 Highlights among the 115 aircraft in the static park included a US U-2 spy plane, a Boeing 737 Airborne Early Warning aircraft from the Royal Australian Air Force and a Royal Canadian Air Force Boeing CH-147F Chinook Helicopter which had been airlifted over in the back of a giant Boeing CC-177 Globemaster airlifter. 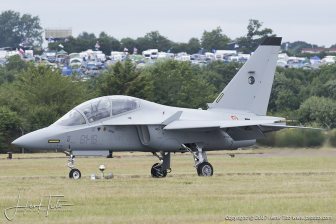 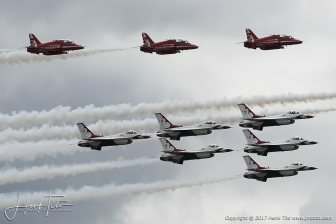 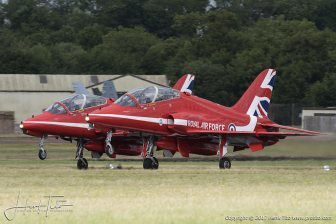 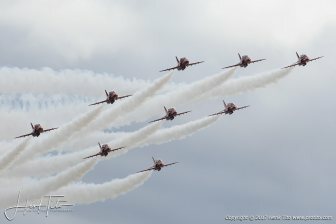 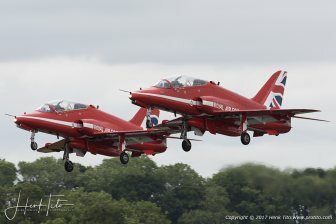 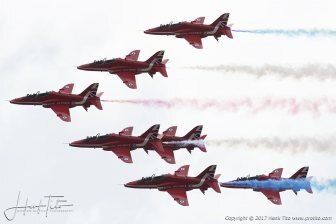 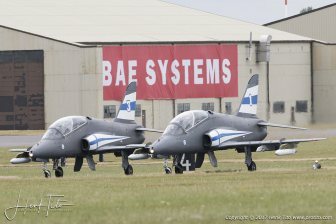 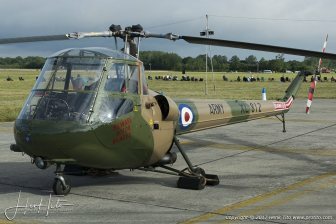 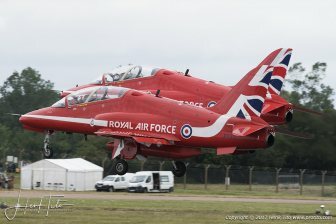 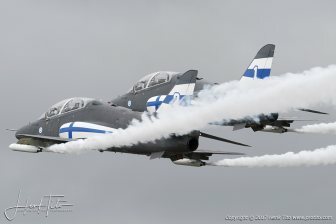 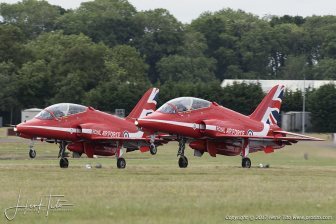 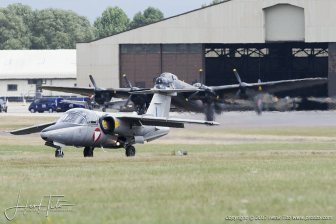 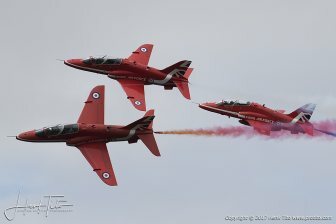 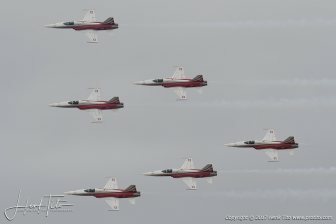 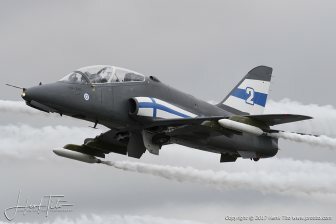 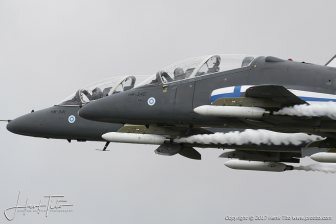 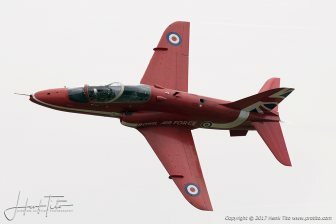 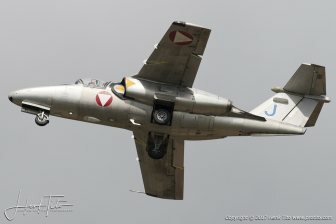 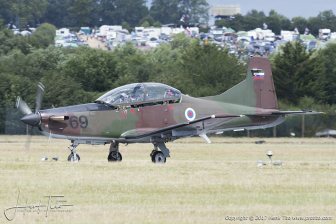 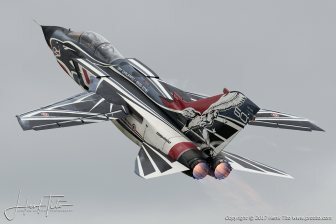 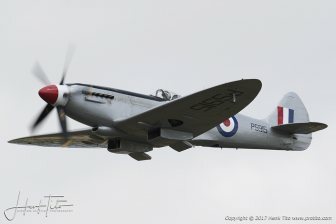 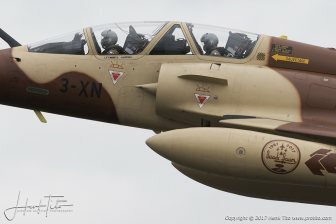 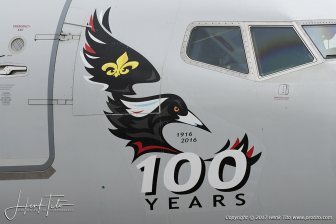 The show also bought together the five new aircraft types which will eventually go on to form the Royal Air Force's new training aircraft fleet including the Grob G120TP Prefect, the Embraer 100 Phenom and the Beechcraft T-6 Texan II to be provided by Affinity Flying Training Services, as well as the Airbus H135 Juno and H145 Jupiter helicopters being provided by Airbus Helicopter. 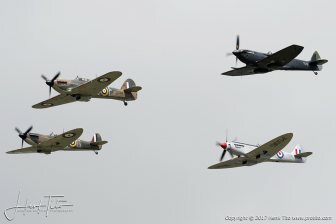 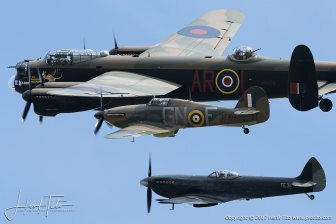 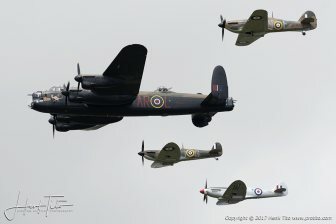 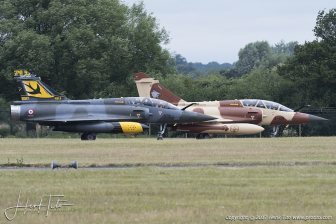 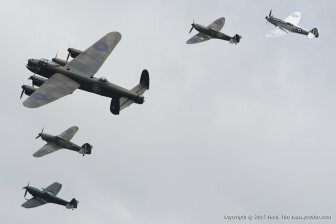 It was the first time all five aircraft have appeared together in public. 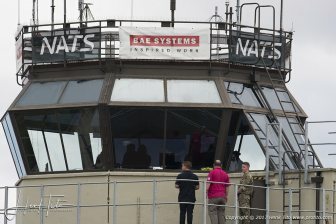 Special guests included HRH the Duke of Gloucester, the Secretary of State for Defence Sir Michael Fallon, the Chancellor of the Exchequer Philip Hammond and the US Ambassador to the UK Lewis Lukens. 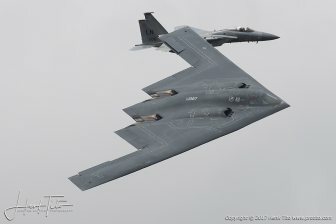 Among a large number of industry guests were BAE Systems' Chairman and CEO Sir Roger Carr and Charles Woodburn; Lockheed Martin CEO Marillyn Hewson; Dave Perry, Chief Global Business Development Officer at Northrop Grumman and the CEO of Boeing Defence Leanne Caret. 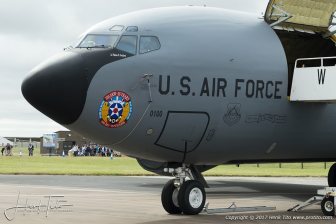 Military guests included Air Chief Marshal Sir Stephen Hillier and USAF Chief of Staff General David Goldfein. 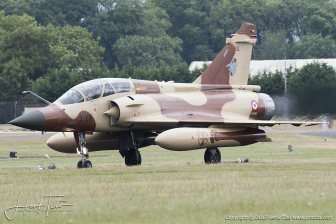 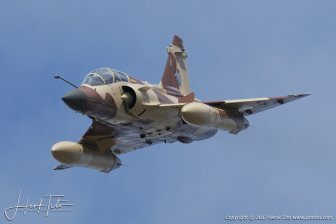 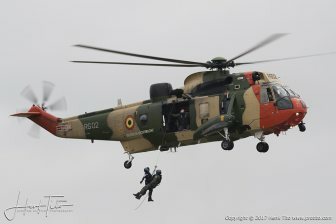 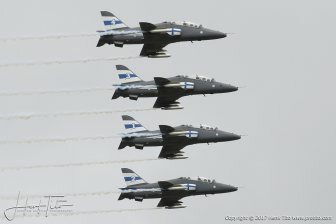 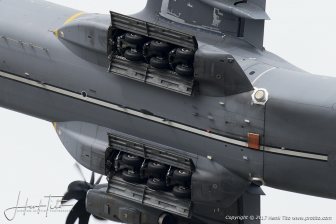 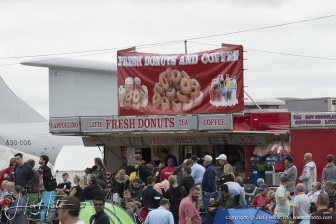 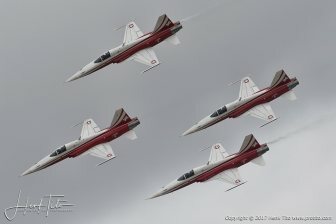 In total, a record 63 military delegations attended the airshow, representing air arms from around the world.